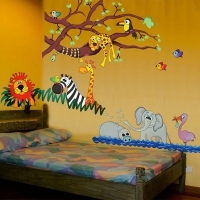 Transform your kid’s room into a wild jungle hangout. 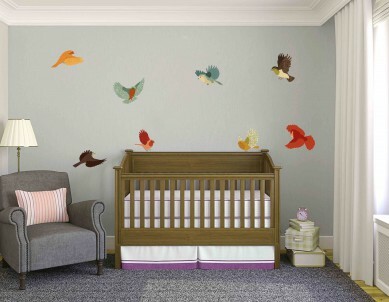 With so many animals, create the perfect jungle look in the easiest way ever. 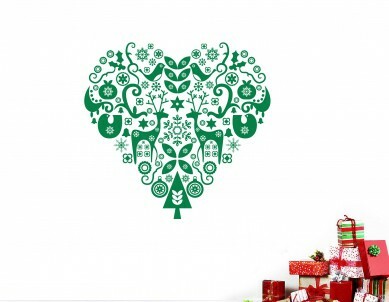 Reposition these stickers as many times with absolutely no damage to the wall or the sticker. 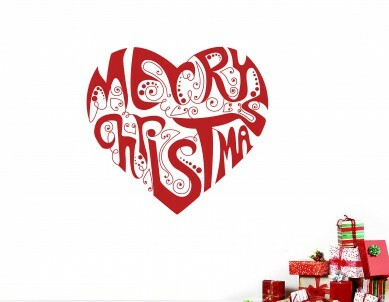 3 tree branches with leaves to be put on 1 or 2 walls of a room. Each branch is 4.5 ft long. A leopard, birds and a snake hanging out on the tree branches. A lion, zebra and a giraffe popping out from the grasslands. An elephant, hippo and a crane chilling out in the water. The animals are around 1 ft to 2 ft tall. 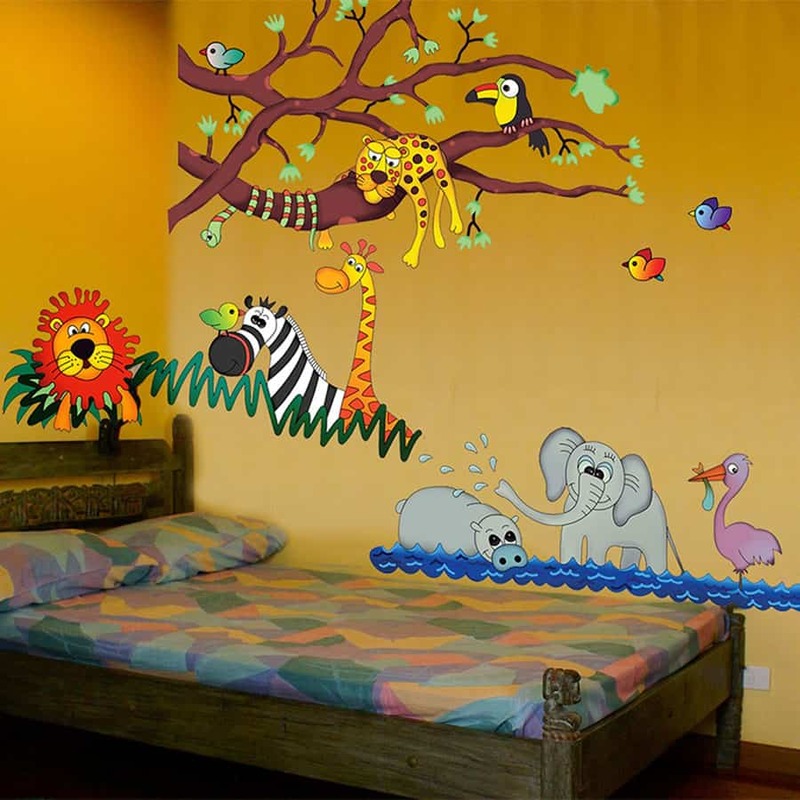 The Wild Jungle Wall Sticker Kit is perfect for your baby boy nursery, boy’s rooms, toddler room, baby girl’s room, girl’s room, or as a theme for your little one’s birthday party and looks great in bedrooms, playrooms, classrooms, day care centers, preschools, classrooms and more. 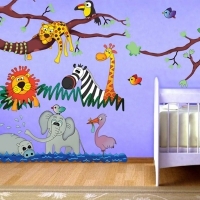 With so many stickers in one kit, you can create a colorful jungle theme mural on one wall or on all four!